Casein is the less-popular cousin of whey, but it’s a great choice. Today we’re going to discuss the best – and most popular – choices on the market. We made an extensive research on casein protein and put it all together in the ultimate best casein protein powder you can buy in 2019. Not only have we reviewed 10 different products, but we are also going to tell you exactly what you need to look at when buying your next casein powder, how is it different from whey protein, and the benefits of using it. Last but not least, we’re going to run through the frequently asked questions about Casein to help you make an informed decision on the right Casein product for you. What Is Casein Protein Powder? 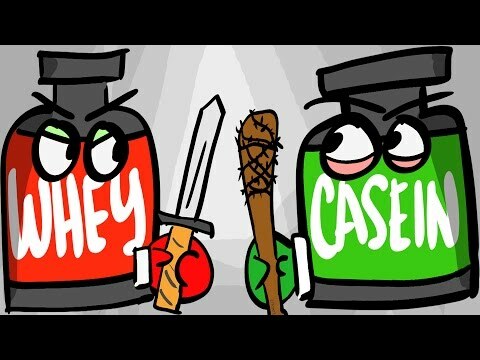 Is Casein Better Than Whey Protein? 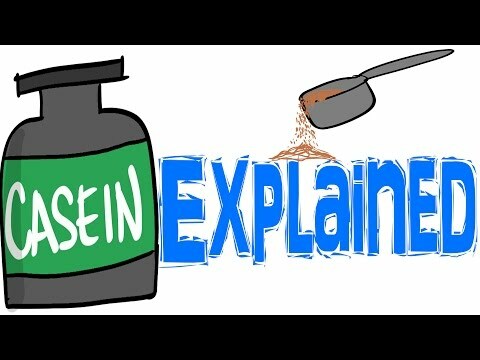 Are There Any Casein Protein Powder Side Effects? What to Look for When Buying Casein Protein Powder? What Are the Differences Between Casein and Whey Protein? Is Casein Protein Good for Weight Loss? What Are the Casein Protein Alternatives Before Bed? What Is the Best Casein Protein for Females? Does Casein Protein Cause Acne? Here are our top 3 picks. You can read our more detailed reviews below. 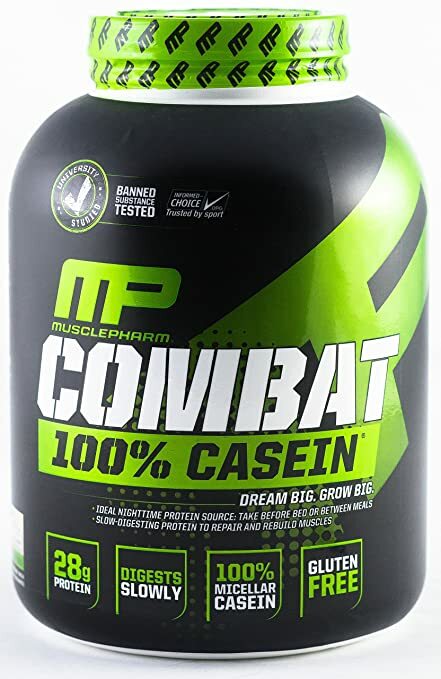 Optimum Nutrition casein powder comes in a 55-serving container which will last you roughly 4-6 weeks, with each serving providing 24g of proteins. The taste and flavor is good but not the best. The consistency is a little thicker than you would get from other products when using the same powder-to-water ratio. On top of that, it will not mix in really well if you use just your shaker: you might want to use an immersion blender to have it all nicely dissolved. 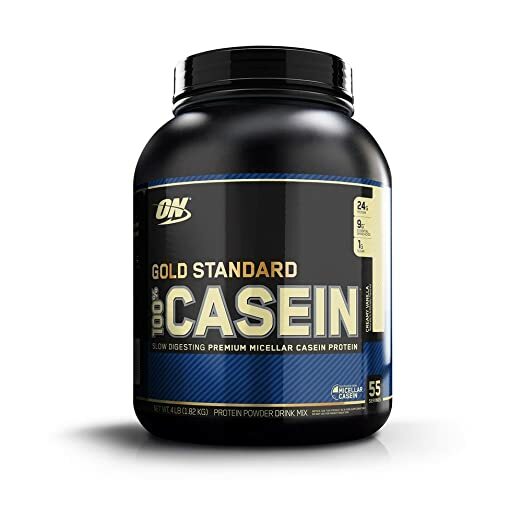 There are 2 casein versions of the Gold Standard line, the only main difference being the fat content. The natural flavor has 8 grams of carbs while the regular one has just 3 grams (or 140 calories vs. 120 calories). So, if you are cutting down on calories definitely pick the latter. There are 25 grams of protein in each serving, with 50 servings per tub and a very low carb content – just 2 grams per serving. The caloric content is 120 calories per serving, which puts this product on the lower end of what similar products are offering. Looking at the consistency of the product you will probably need to fill up your shaker to get a thin enough mixture to be drinkable. This is pretty much the only issue we see in this product: there is no bloating, the flavor and after-taste are great. Crucially, many users have reported great improvement in both muscle size and strength after using the product consistently. Ideally you want to drink your casein protein powder before your sleep or throughout the day if you plan on fasting for more than 6 hours. Surprisingly it mixes in pretty well, despite the thick consistency. This is probably one of the best casein protein powders on the market. It has a super-high protein content. With each serving ,you will get 26 grams of protein and less than 1 gram of carbs and fats. As a result of this awesome macro split, the calorie content is just 112 kcals per serving. 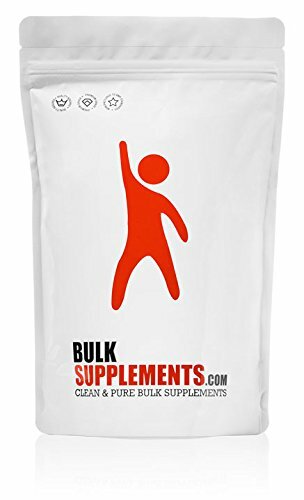 When it comes to taste and flavor, things are pretty simple for Bulksupplements: their products do not contain any additives and are not flavored. Surprisingly, this works great: it tastes a little bit like milk, but you can enhance it a little bit by throwing a banana in the blender or other fruits. The consistency is relatively thin for a casein powder protein supplement which is another benefit of this product. It mixes really well with water using a standard shaker and it gets a creamy texture. MuscleTech is one of the few companies with scientific research using their product. While they don’t discuss the experimental design, they suggest that their product will decrease protein breakdown up to 34%. Each serving of the MuscleTech casein protein powder will get you 24 grams of protein, 5.2 grams of BCAAs and almost 5 grams of glutamine. The macros also include 2g carbs and 1g fat which sums up to 110 kcal per serving. The consistency is not too thick but feels a little bit grainy even if it is mixed using a blender. The flavor and aftertaste is good, but we’ve seen better. Depending on which flavor you pick, you might get an artificial/chemical aftertaste which puts most users off. So, if you want to get the absolute best casein protein, you might want to look at others on this list. This is probably the lowest calorie-per-serving casein protein powder we’ve seen. With only 86 kcal and just 0.4 grams of fat, this product is perfect for a strict weight-loss diet. Protein intake is even more important when cutting, and this product provides 41 servings at just over 20g of protein each. Looking at the consistency, you will get a rather thin drink that mixes in great with water or milk. The unflavoured products taste a little plain, but it’s also free from artificial flavours and is versatile for both baking and blending. Number six on our top-10 best casein protein list is one of the most expensive products you will encounter. This pack contains a huge 76 servings of 100% Micellar casein protein. Each serving is super high in BCAAs – almost 6 grams per portion – and there are 26 grams of protein, zero fat and zero sugar. This will take a serving up to 110 kcal. The manufacturer claims they are using 100% US farmed milk and that there are zero artificial substances in their product – a strong branding choice. 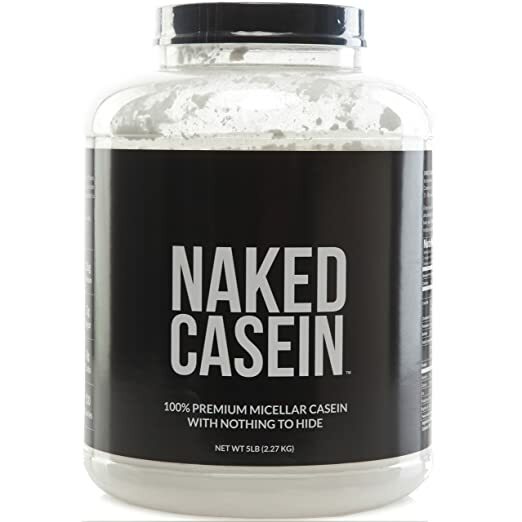 The Naked Casein protein powder is also gluten and soy free for those with allergies. The only downside of this protein powder is that it mixes poorly and, when it does, you will get a rather thick drink. It’s more like a smoothie in terms of consistency, even though all you add is water. 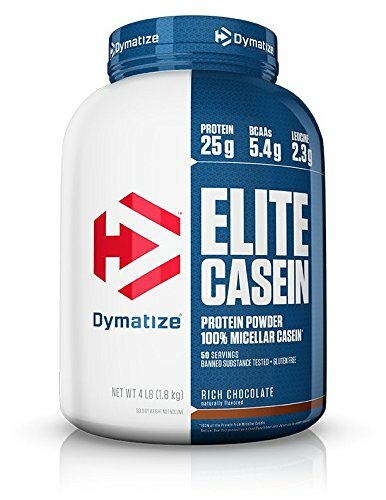 If you are looking for a higher protein intake per serving this might the best casein protein you can get your hands on. Each serving contains 28 grams of protein – which puts the MusclePharm product at the very top of its competition. This is a flavored powder, which means you’ll also be getting carbs and fats – there are 3g of carbs and 0.5g of fat. This adds up to 130 kcal per serving which is relatively high, as you would expect. This makes it a better product for those who are trying to gain muscle mass and weight. In terms of consistency, this protein is not as thick as you would expect, and the flavor is great. Even though there are some artificial substances in there, the taste is very natural: it mixes well with water or milk and has a creamy texture. The high protein concentration will also give you a higher satiety after drinking this, so you will be less likely to feel hungry. A rather obscure protein powder – the Cellucor COR-Performance will surprise you with its amazing taste. We all know casein protein has a unique flavor and texture, but the guys over at Cellucor managed to get it right. The great taste comes with a cost though: each serving contains 4 grams of carbs which is the highest we’ve seen so far. Fortunately, enough, the protein content is 25 grams per serving and a standard 120 kcal per portion. The powder dissolves really well in water or any other liquid you might be using, and the consistency is just like a thinner smoothie drink. Being a lesser-known product, we’re not entirely sure what the word is on Cellucor’s casein product, but it seems to be pretty great. This casein powder is very similar to the Cellucor product: it is probably just as tasty and is as high in carbs – almost 4 grams. The protein content is 24 grams per serving and the fats are just 1 gram, for a total of 120 kcal per scoop. For optimal results, use a blender or a high-end shaker. Otherwise, you will get big chunks of un-dissolved powder, as this powder is prone to clumping and can be a little chalky. The intensity of the flavor is easily adjusted by using more or less water: even when using less liquid, the consistency is well-balanced, so if you want a stronger flavor you won’t be forced to using a thick shake. 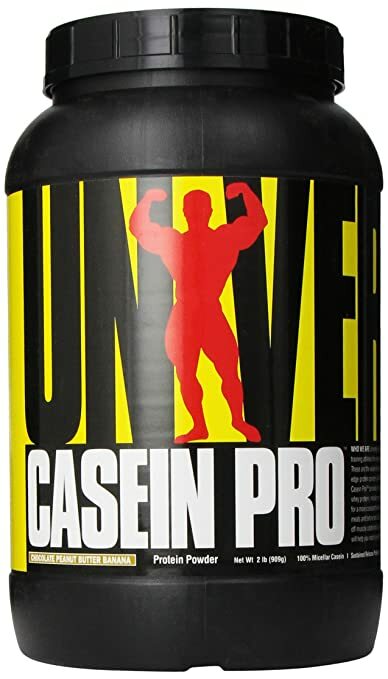 The label clearly states that they are using a few artificial substances for better taste and flavor, so if you are not into using that maybe pick an unflavoured casein powder. This product also has a very small reviewer base, which makes it pretty hard to make any sort of significant estimates of how it will work out. The higher carb content and texture problems make it a bit of a gamble, but a solid product overall. 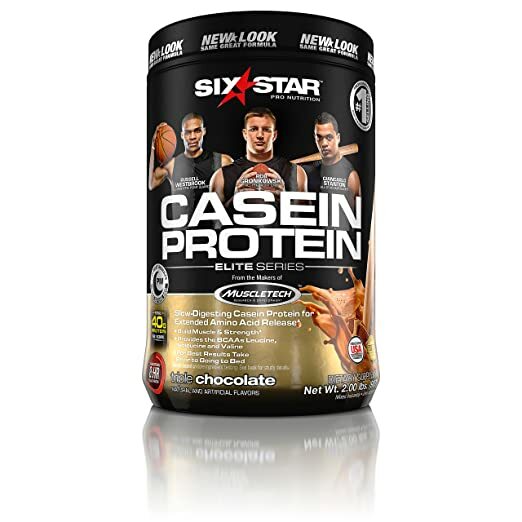 Last but not least, number 10 on our best casein protein list is a Six Star product which is super high on carbs. You will get a whopping 9 grams of carbs with each serving, just 20 grams of protein, and less than 1 gram of fat, this has one of the most unusual macro compositions. This adds up to 120 calories overall. A strong selling point of this powder is the price: it is one of the cheapest options on the market but it’s clear to see why this is. On the other hand, we’ve seen positive reviews for the mixability and consistency of this product. The flavors are great – but that’s going to happen when you’re drinking 9g of carbs at a time. The taste is good – and probably one of the best on the list – but that also comes with the downsides of a reduced macro split. However, if you’re used to unpleasant casein and want to prioritize taste, this might be the product for you. Just be aware that the taste comes at the cost of a weaker protein to carb ratio! 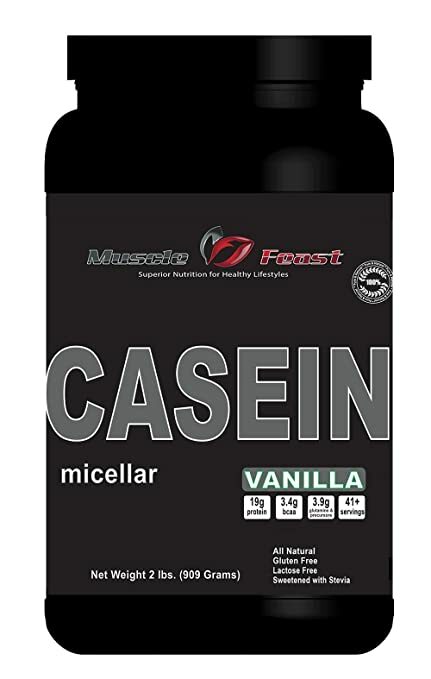 Casein is a powder-based supplement which is used by a wide variety of athletes (but mostly bodybuilders) to support muscle growth and increase strength, but also prevents muscle breakdown when fasting. Casein protein is basically a counterpart to the fast-absorbing whey protein. It is also the second most popular type of protein source – while both are derived from milk. In fact, around 80% of the proteins in cow’s milk are casein with the rest of 20% being whey protein. 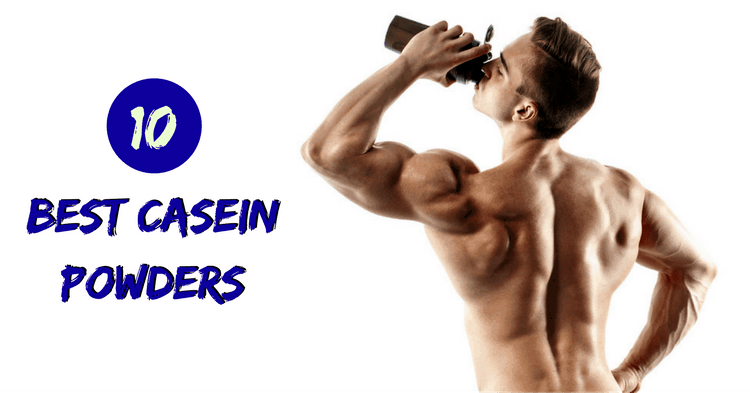 Casein – Better Than Whey Protein? This depends on your personal needs – whey protein and casein protein have different effects. Whey is better for a post-workout protein supplement because it will rapidly replenish protein stores, while casein is slow-absorbing and better for pre-sleep proteins. Pick the one that best suits your schedule and goals. Despite its lower popularity, casein protein powder has quite a lot of unique benefits. We’re going to cover some of the most important. First and foremost, it contains all the essential amino acids, making it a complete protein and a great compliment to any diet. The addition of BCAAs – and Leucine particularly – make it a great choice for maintaining muscle mass and ensuring the production of new muscle tissues when recovering. The peptides found in casein provide a variety of benefits – from adjusting digestive health in a positive way to mild immunity benefits. The nutritional profile of casein protein is notably different from whey and other options, promoting well-balanced recuperation and overall health. Casein is soluble and slows the digestion of all foods in the body. This also means more regular digestion and a sense of fullness throughout the day. This can also be very effective for reducing nausea and the digestive stress that fast-absorbing dairy proteins can bring. Casein supplementation can decrease protein breakdown by up to 25% over a period of 7 hours. This is great for muscle mass retention and for continuously supplying amino acids to the muscle cells. Basically, your body will get a slow rate dose of protein for up to 8 hours after you had your casein shake. That is why so many gym enthusiasts and professional athletes have their casein drink right before going to bed or before a longer fasting period. Last but not least, casein protein will give you a more satiating effect than any other supplement. This happens mostly because it is a slow digesting protein. As a result, you will probably not feel hungry for a few hours after taking it. This is beneficial if you are having trouble dieting or if you have a hard time resisting carvings. Obviously, using a casein supplement is not ideal if you are trying to eat more! As in any other supplement, there are some side effects that can occur if you are sensitive to casein or dairy proteins. If you can drink milk without any issues, though, there is a very small chance you will experience any casein side effects. The most common side effects are associated with poor dairy tolerance: bloating, allergic reactions, heart burn or bad after taste. Casein powder is well known for its mediocre taste and flavor, so bad after taste is a quite common complaint. No matter what natural or artificial additives they will put in it, casein protein will never be a product you consume for the taste, just the effects. Just like in any other supplement out there, the first thing you want to check out is the label – and you need to know what to look out for. A good protein powder should contain a high protein concentration (at least 80%). For each 30 grams scoop for example, you should get in at least 24-25 grams of protein. Anything less than that will be less effective. The next thing you want to keep an eye out for is the BCAAs content. You want 5 grams or more per scoop. Some manufacturers outline all the BCAAs their product contain which is great, some just mention the quantity. Ideally, you want to have the full list available on the label. The overall caloric intake per serving is another important factor to consider. Most casein protein powders are in the range of 100 to 140 kcal per serving. Obviously, most of the calories come from protein, but there are some products which will give you up to 30-40 kcal from fats and carbs. 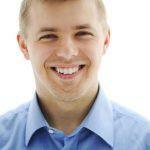 Consistency is an important consideration when choosing a purchase. Casein protein powders have a thicker consistency than other protein supplements such as whey or soy powders. If you know you have trouble drinking thicker shakes it’s a good idea to find a product which mixes better with water. And then there is the taste. Casein and whey have very different tastes, associated with the different textures. The creamy, milder flavors of Casein bring a totally different experience. If you don’t have a problem with it that’s fine. But if you do, you want to get a flavored casein protein powder, preferably with a decent amount of carbs to sweeten a little bit the taste. Naturally, you want to check out the price. Casein can cost a lot more than other protein powders. Don’t forget to compare the price against the number of servings in the package – as the scoop size and price per gram of protein are important things to look out for. There two main different situations in which you want to use casein protein powder. Both of them are time-sensitive. Firstly, if you are on a low-calorie diet you want to include a casein protein supplement in your daily meal plan. Ideally, you want to take it right before going to bed so that you provide your body with enough amino acids to feed your muscles throughout the night. And secondly, you want to use a casein supplement if you are following an intermittent fasting protocol. Drinking your casein protein shake right before your fasting window starts is optimal for muscle loss prevention. 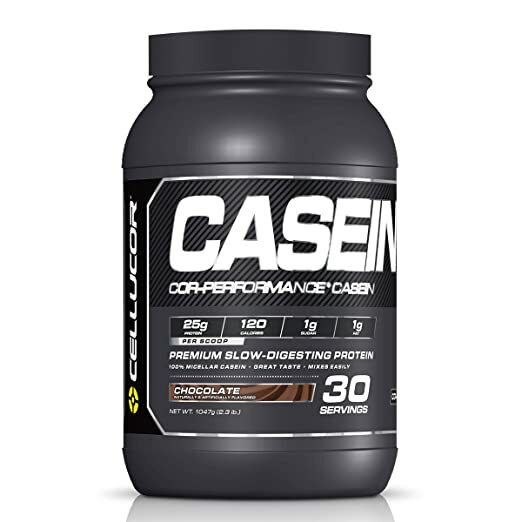 Bottom line, you should use casein whenever your body will go for more than 8 hours without getting any nutrients. Below you can find a list with some of the most common questions people have about casein protein powder. If you’ve got your own queries about Casein, there’s a chance they’ll be included below. These should make it easier for you to decide whether casein is the right supplement for you and whether you might want to consider getting your extra proteins from another source. Even though both casein and protein come from cow’s milk, there are a few very important differences between the two. First and foremost, casein is a slow digesting protein while whey is a fast digesting protein. This means that casein will give you a steady and constant flow of amino acids for 7-8 hours. On the other hand, when you are using whey, you will get a big spike in amino acids right after you drink your shake due to the absorption rate. Another difference between the two is that casein will give you a more satiating feeling because of its slower rate of absorption. Casein protein powder is known to reduce protein breakdown, prevent your body from going catabolic when you fast for a longer period of time. On the other hand, whey protein is known to increase protein synthesis rate which is beneficial from muscle hypertrophy. So, even though there are many differences between the two, casein and whey are both good for muscular development and should be looked at as complementary products. They’re tools in a toolkit, rather than competitors! Casein protein works just fine if used for the purpose it was intended for. If you use it for the wrong purpose, of course, it will not work: the choice of appropriate means is how we affect these goals. So, to cut to the chase, casein works great if you want to preserve muscle mass while fasting, mostly while sleeping. It also works great if you want to limit the amount of food you are eating, because it gives a strong fullness feeling in your stomach. But if you expect to build massive amounts of size and strength from casein, you are in for a disappointment: this is the result of a well-rounded approach to diet and exercise, not just supplementation. Casein protein is found in so many whole foods you are eating every day. There is no reason for it not to be safe for you: the only circumstances it can become unsafe for you is when you have a sensibility to this type of protein. In these cases, you can experience side effects such as skin allergies, bloating or heartburn. The protein intake in the form of casein powder does not have a direct effect on weight loss. However, it may indirectly help you lose weight by creating that satiating feeling we have mentioned above, as well as providing a great overall dietary protein intake. Casein use is known to lower carvings and keep hinder the hunger feeling. This will most likely allow you to skip a meal which will eventually result in a lower caloric intake or reduce snacking later in the day. If you are eating your normal meals each day – and on top of that you are drinking your casein protein shake – do not expect to see any weight loss soon. 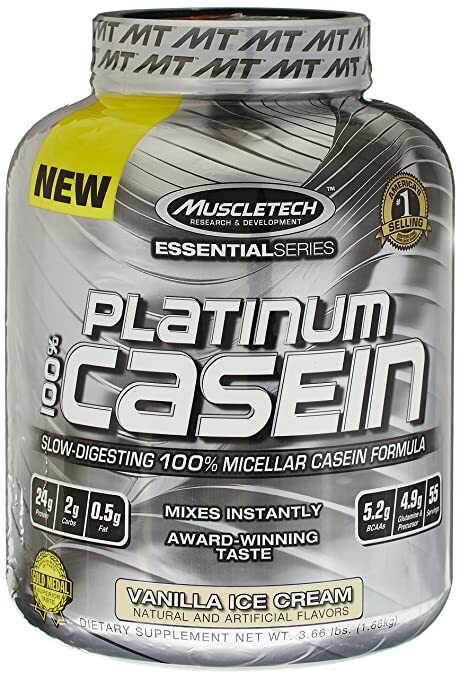 As healthy as Casein is, it comes with a calorie count and needs to be fit into your diet. From a nutritional point of view, casein protein is not necessary for health reasons. Is it necessary to supplement with a casein powder product? Well, that will depend on how much protein you are taking in from your food. If you can’t eat enough food to cover your daily target protein intake, a casein protein powder will be a great choice. Most dairy foods will contain significant amounts of casein. Obviously, milk is sitting at the top of the list, but you can get plenty of casein from yogurt, sour cream, butter and (cottage) cheese. Pay attention, though: milk alternatives such as soy, coconut or almond milk do not have any casein content. Tuna, cereal bars and chocolate also contain casein, but far smaller amounts. Casein protein can get quite expensive, so if you want to keep your muscles nourished while watching your budget, you may want to check out alternatives or cheap market alternatives. Plain cow’s milk or any other dairy-based product will work just fine. Drinking a tall glass of milk right before you go to bed will get you plenty of casein protein, though obviously not as much as a shake. If you are a vegan, then you clearly need to stay away from both casein and whey protein. But don’t worry there are a few options out there. First, you have the vegan protein powders, and then you have the plant-based products which are rich in protein such as soy, beans, or brown rice. Casein protein powders work in the exact same way regardless of gender. The ones that have the best protein content and the best taste/mixability/value are going to be the best for both sexes. If you have intolerance to the lactose in the milk, using casein protein powder is a very good alternative. Most of the casein protein powders are lactose-free or contain a very, very small amount of lactose which will most probably not trigger any digestive issues anyway. Dairy in general favors the development of acne if you happen to have sensitive skin. Casein, just as whey, may cause acne in some cases. It all depends on your genetics and on how your body reacts to this kind of protein. If you find yourself among the few people who gets acne from casein protein you can always try out different protein sources such as soy or eggs. Start with smaller amounts and keep an eye on how you react before starting with full doses. To wrap this rather long post in a short and concise way, here is what you need to remember: Casein is needed when you can’t hit your daily protein intake target. Moreover, it is optimal to use right before going to bed or at any other point in time if you plan on fasting for a long period of time. When shopping for casein protein powder make sure to check out the protein concentration level, the total amount of calories and the other macros. Lastly, you may want to know what other users are talking about the product in terms of its effectiveness, taste, flavor and consistency.